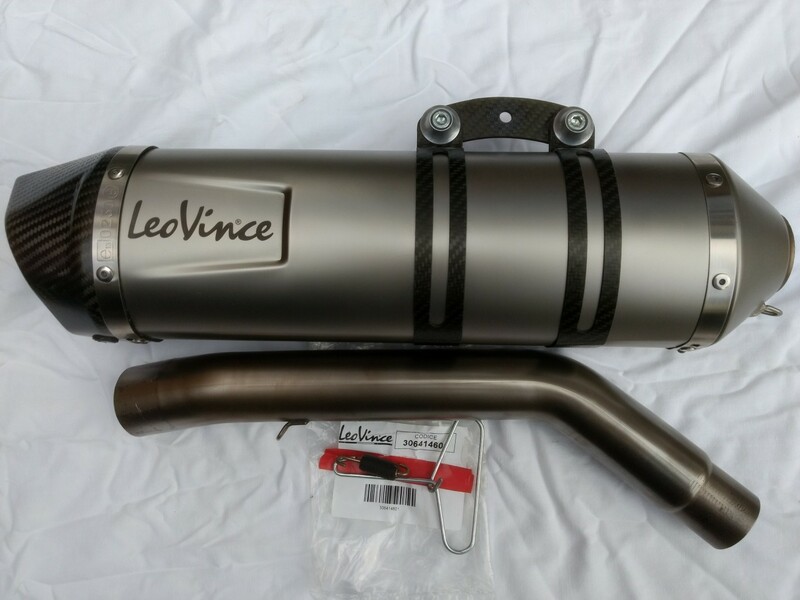 Leovince exhaust - Now Sold. 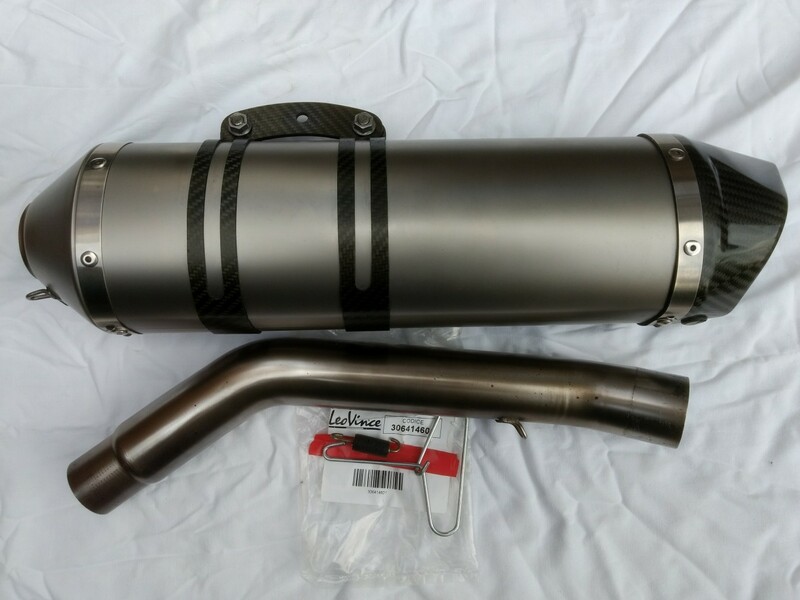 Leo Vince exhaust brought last year had it on my 2013 Tiger but have now sold it. Paid £250 looking for £180 plus postage or very welcome to pick up from NW Leicestershire. Well made great sounding exhaust. Had some interest but nothing confirmed. Will only send to a UK residential or place of work address. Hi, new to Tigers so just checking, will this slip on a 2011 Tiger OK and no need to redo carbs? Don't know specifically about the Leo Vince, but only the OEM Arrow exhaust has a specific tune. others like MTC. Fuel don't need a remap, so I doubt the LV will. Thanks, and ignore my carbs reference, remap was the thought! I have a Leo Vince and can confirm it's just a straight swap. No remap required.